Citroen Taunton won Parts Team of the Year Award for outstanding levels of customer service. And Citroen Weston-super-Mare sales team were nominated as Sales Team of the Year. Make Your Mark is the annual Citroen Dealer Awards ceremony, organised by the manufacturer to congratulate the best dealerships for their brilliant efforts in different areas of the business. The James Bond themed awards ceremony was held at Heythrop Park, a stunning 18th century manor house in Oxfordshire, and included other dealerships from around the country. Tony Lippe, Franchise General Manager, who was previously awarded as Dealer of the Year, said: “We are very proud of the staff’s achievements and constantly strive for the highest level of customer satisfaction. 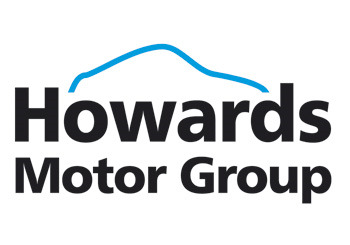 Howards Citroen team all attended the event held on 20th February 2013. Managed by David Rowley with his team Robert Allpress, Daniel Sparkes and Paul Burland. It was the second nomination for Daniel Sparkes, who previously won the Citroen Parts Apprentice of the Year in 2012. Sales Manager Stuart Mackintosh and his team Damon Hayzen, Kevin Mackintosh and George Lippe. Congratulations to all Howards staff.